Mr. Yoo assumed the position of AMRO Deputy Director in September 2017, responsible for Administration including Human Resource management, budget, and legal affairs. Mr. Yoo has more than twenty years of high-level work experience in the fields of planning and budget, international finance and development since he began his career as a government official in 1995. Prior to joining AMRO, he served in the Office of the President (Cheong Wa Dae) as Chief Assistant Secretary to the President for Planning (2016-2017) and to the President for Economic and Financial Policy (2012-2013). He also held various key positions in the Ministry of Strategy and Finance, Korea, including Senior Director of the Welfare, Land and Transportation, and Education Budget Divisions in the Budget Office (2013-2016). During the tenure, he was in charge of various areas, including setting the Korean national strategy, national budget formulation and coordination, macroeconomic policies, and international cooperation and official development assistance (ODA) policy. 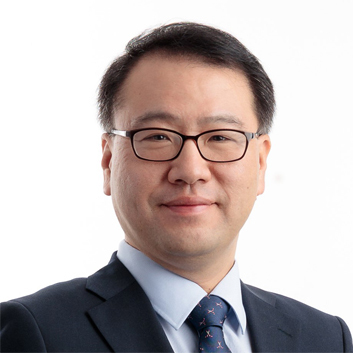 Mr. Yoo also worked as Senior Economist for the Japan and Korea Desk in the department of Economics at the Organisation for Economic Co-operation and Development (OECD) in France (2009-2012), where he was involved in OECD Economic Outlook and Surveys. Mr. Yoo holds a Master of Science in Industrial Administration from Krannert Graduate School of Management, Purdue University, USA and a Bachelor’s degree of Economics in Seoul National University.